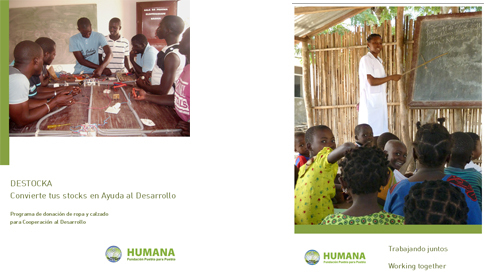 Humana People to People was established to combat poverty with communities around the world. To reach this goal, Humana believes that cross-sectoral collaboration is absolutely essential. Working together with diverse partners who play an important role in the environment and global development, Humana constantly strives to forge new alliances to eradicate poverty. If you are a textile company, you can participate in our Destocka Program: its aim is to promote development cooperation between enterprises of textile, footwear manufacturers, wholesale fashion, brokers, shops, boutiques and department stores offering the possibility of manage the stocks of clothing and shoes of those who want rid of. Human responsibility for the management of these stocks in order to get the most possible resources to cooperation programs being carried out. 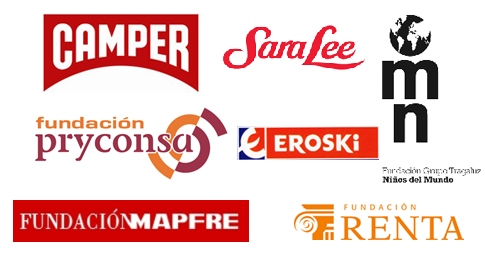 You can participate in the Campaign TÚ, enCajas?, aimed at local stores. With a small gesture, place a box for collecting clothes and shoes in your establishment, you contribute to cooperation of development, to the Protective of the environment and job creation.